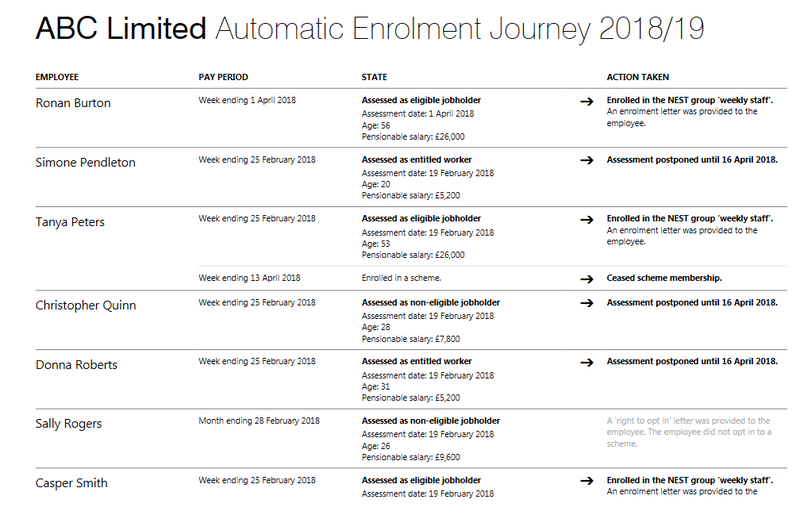 BrightPay provides an automatic enrolment 'Journey Report', which details the automatic enrolment journey for each employee within the payroll. ... and also within the 'More' menu in the Employees utility. The Journey Report can subsequently be printed, emailed or exported to PDF, as required.